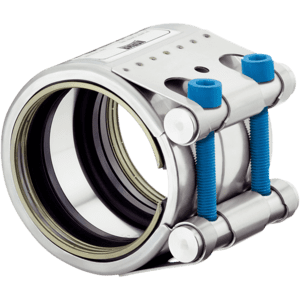 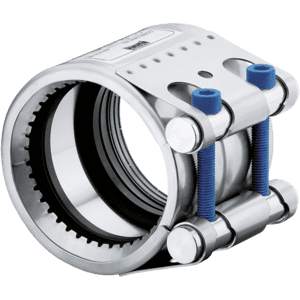 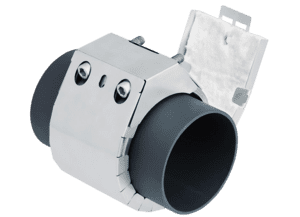 NORMACONNECT® FLEX /FLEX E pipe couplings are used for connecting restrained pipes, metal pipes, stainless pipes, as well as concrete and plastic pipes. 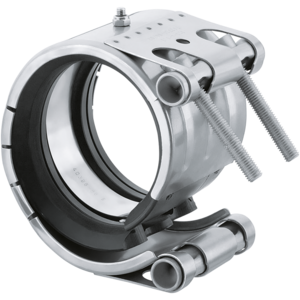 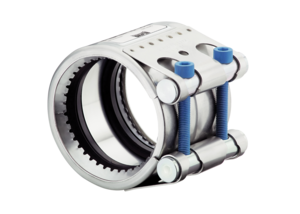 With NORMACONNECT® FLEX/FLEX E pipe couplings sealing reliability is also ensured when there are gaps between pipe ends which are compensated. 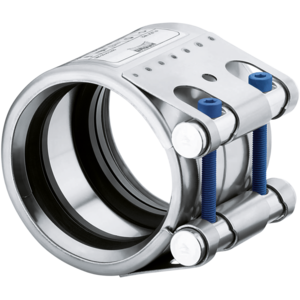 Given outside pipe diameters of > 180 mm the FLEX type is suitable for high pressure and the FLEX E type for low pressure applications.